Purchase 50 or more Evacuation Chair with Bracket and Covers and download your free support pack worth £100. Purchase 200 or more Evacuation Chair with Bracket and Covers and you can have personalised covers absolutely free! 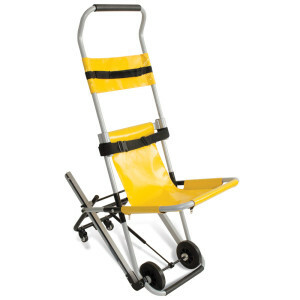 Complete with cover and wall bracket, the Reliquip Evacuation Chair is the ideal for transferring a client up or down stairs.